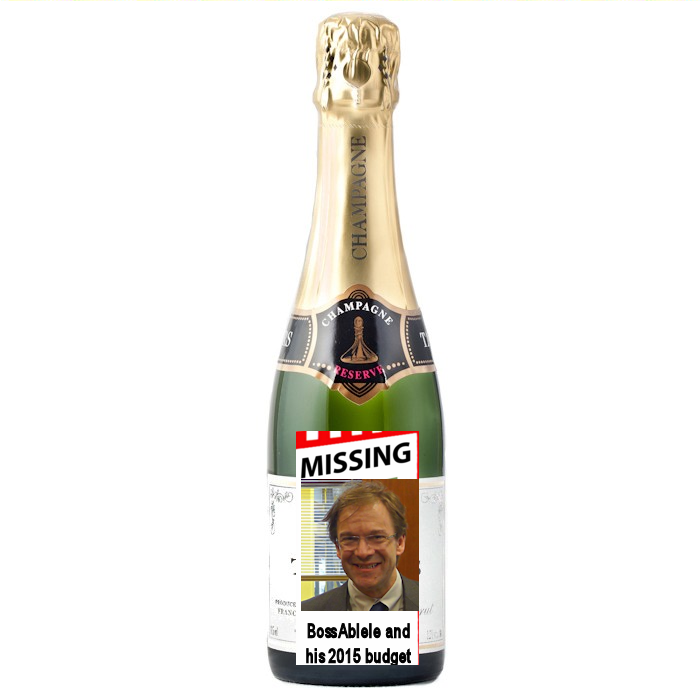 Earlier this year, when Boss Abele was supposed to have presented his 2015 recommended budget to the Milwaukee County Board, he ended up being missing in action. We searched high and low, but know seemed to know where he was. Abele finally stumbled into the courthouse a week late to present his budget. Sadly, he had the thing so fouled up that people wished he had stayed missing. 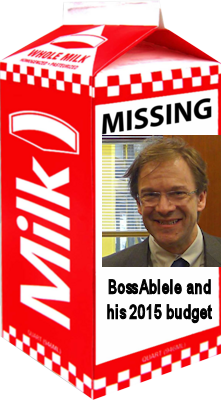 Unfortunately, it appears that Boss Abele has gone MIA yet again. On Wednesday, the first item on the Finance, Personnel and Audit Committee's agenda was to hear from Boss Abele talk about his budget and the corrections that the County Board had to make for it. 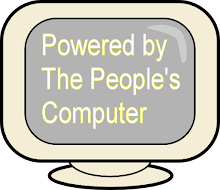 But Abele was a no show, no call. In fact, his staff has been absent for most of the budget hearings. Apparently, he doesn't feel the need to be accountable for his decisions or their consequences. In all seriousness, this is an insult to every taxpayer in the county. The fact that he doesn't feel that answering questions about his budget and providing rationales for his decisions is condescending and is in no way being a representative of the people. Sadly, he cannot be held accountable for this dereliction of duty for another 15 months when he is up for reelection. Then he can go missing as long as he likes. I don't think many people will be looking for him by then.